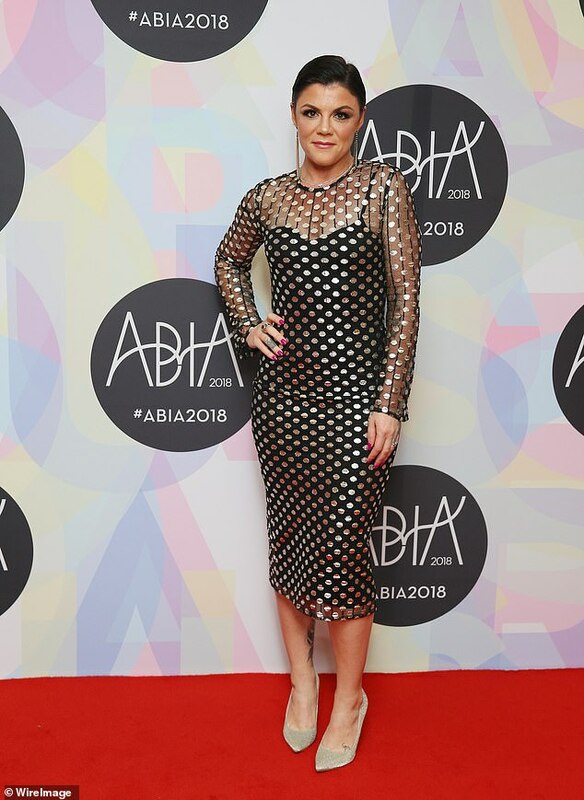 After lacklustre ratings, Rusciano announced her resignation from 2Day FM in September last year. And in December, the former breakfast radio host revealed that she was consumed with ‘rage’ after leaving the plum job. Speaking to Offspring magazine, Em, 39, interpreted her anger in a broader feminist sense, saying: ‘I came out of radio feeling so much rage. There’s this rising tide of women going, Why do I feel so itchy and cross all the time? 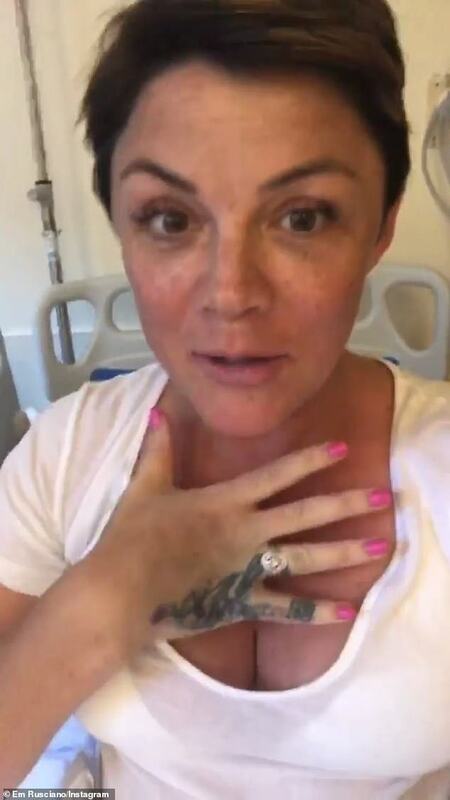 Rusciano confessed to feeling angry for much of her time as a breakfast radio host on 2Day FM. 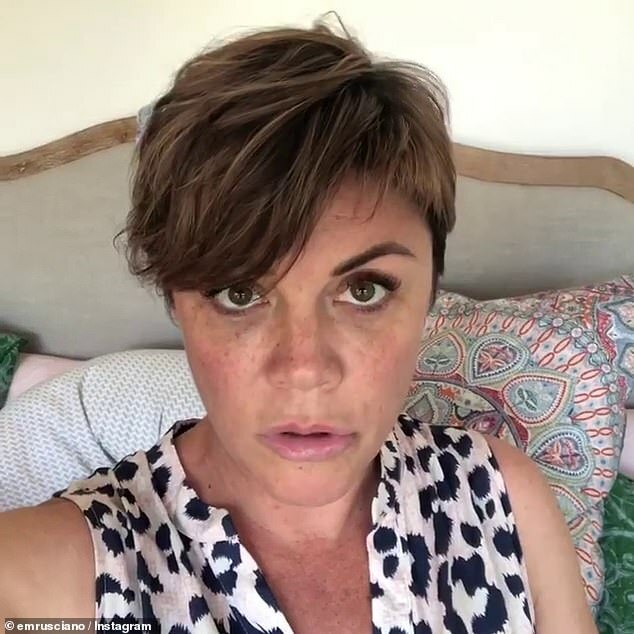 ‘I spent six months of this year  angry and I couldn’t understand why, and it started showing up in weird ways,’ Rusciano told the publication. The mum-of-two, who confessed to feeling ‘helpless, angry and crying’, revealed she is planning a new stand-up stage show about ’embracing feminine anger’, for 2019. Em also vowed that she will ‘never’ do breakfast radio again. In January 2017, Em replaced 2Day FM’s Rove McManus and Sam Frost’s axed breakfast show with The Em Rusciano Show with Harley Breen. In November 2017, Harley Breen resigned live on-air and was replaced with Ed Kavalee and Grant Denyer. Em resigned from 2Day FM in September 2018, following her show’s long stint of rating woes. ‘I had intended to work through until December, but as my pregnancy is progressing I’m finding it increasingly harder to fulfill the requirements of my job. So after talking it through with my family, and my boss Gemma [Fordham, Hit Network’s Head of Content], it was decided that I should finish up,’ Em said in September. She is due to give birth to a boy this month, and already has two children with husband Scott Burrows – Marchella, 17 and Odette, 11. 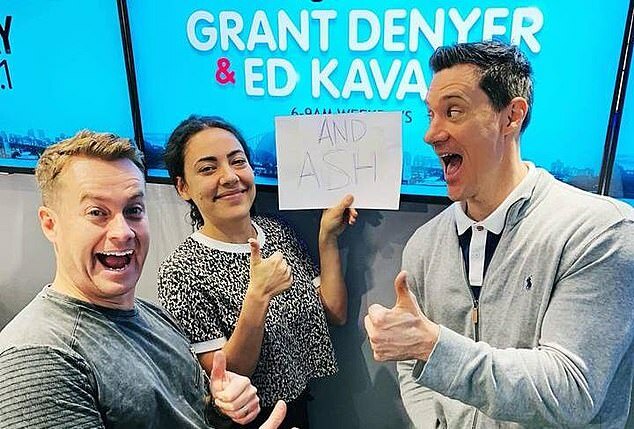 In December last year, Ash London, 32, was officially confirmed as Rusciano’s permanent replacement on 2DAY FM’s breakfast show with Grant Denyer and Ed Kavalee for 2019. 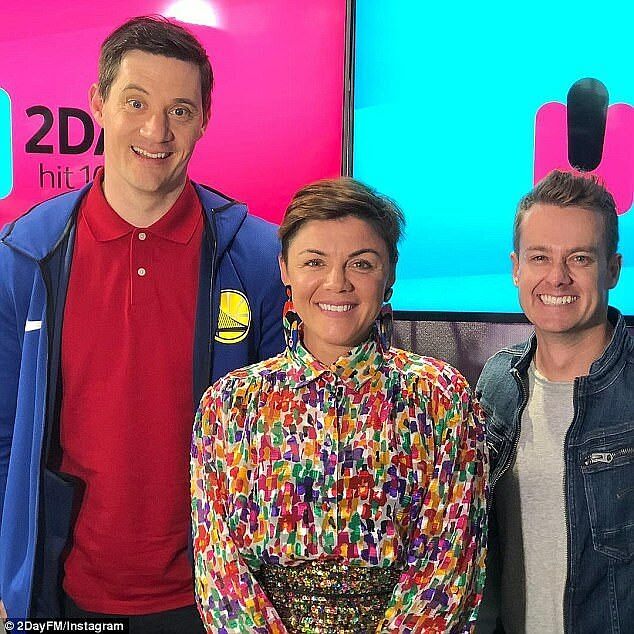 In November 2018, 2Day FM’s breakfast radio share climbed a whole point after Ash joined the struggling program as fill-in host. The numbers showed that 2Day’s breakfast ratings share had climbed to 4.6 per cent.